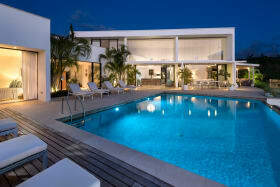 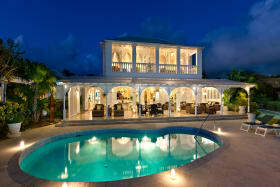 Luxury four bed villa with approved plans for an additional guest cottage. 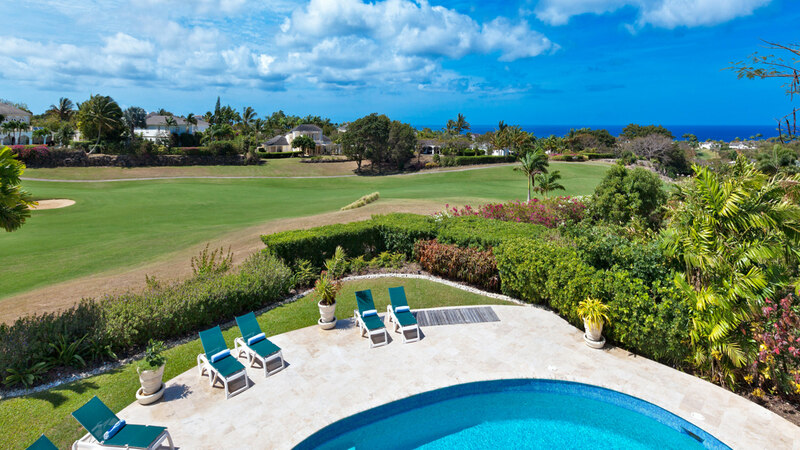 Amazing golf course and sea views. 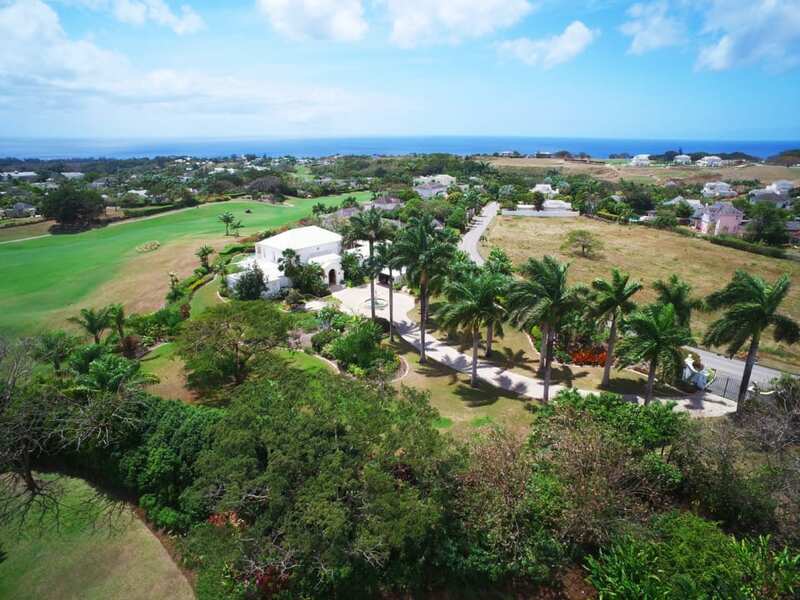 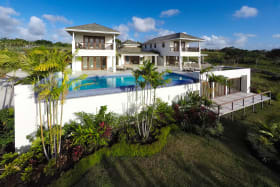 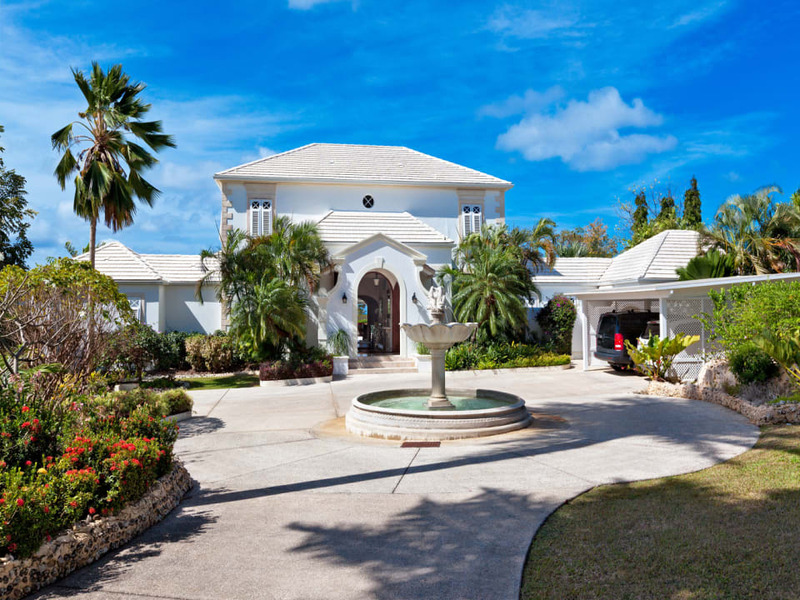 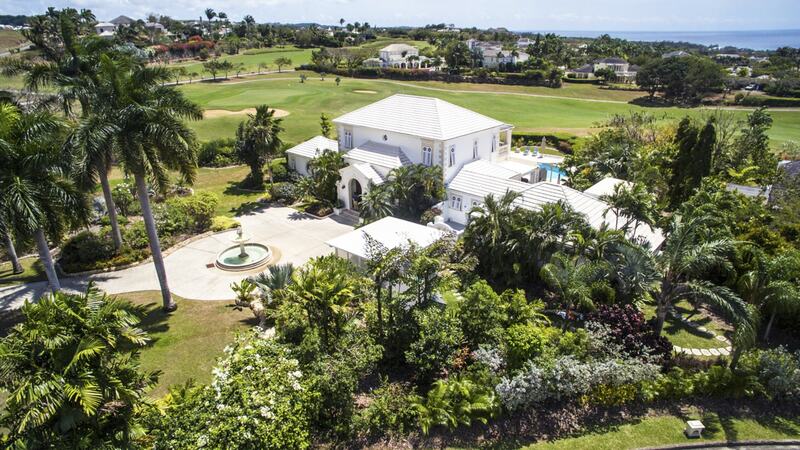 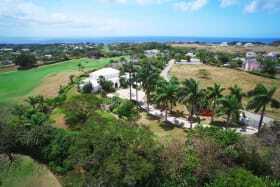 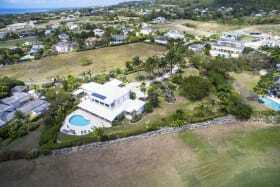 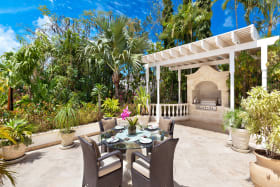 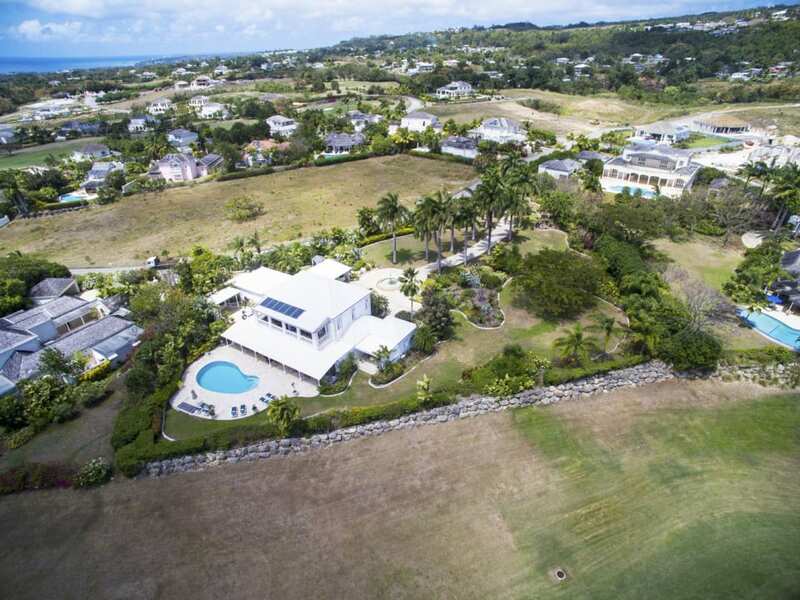 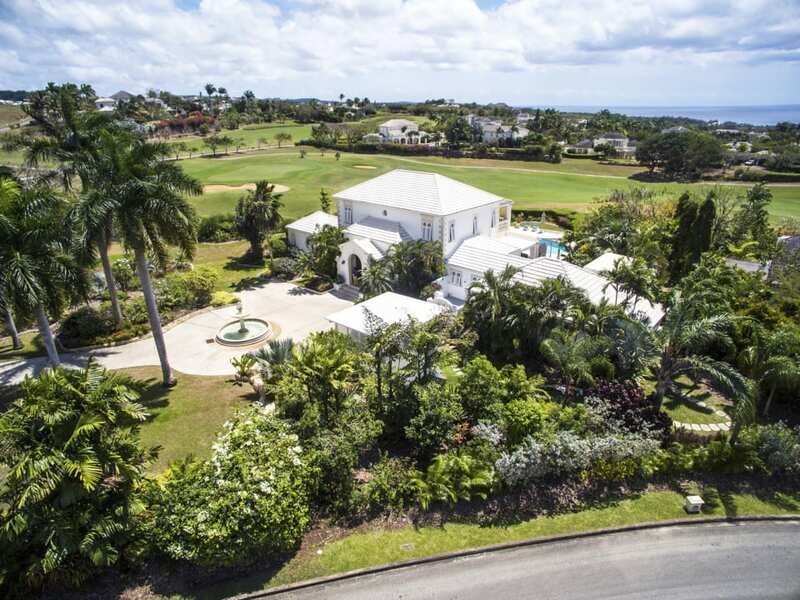 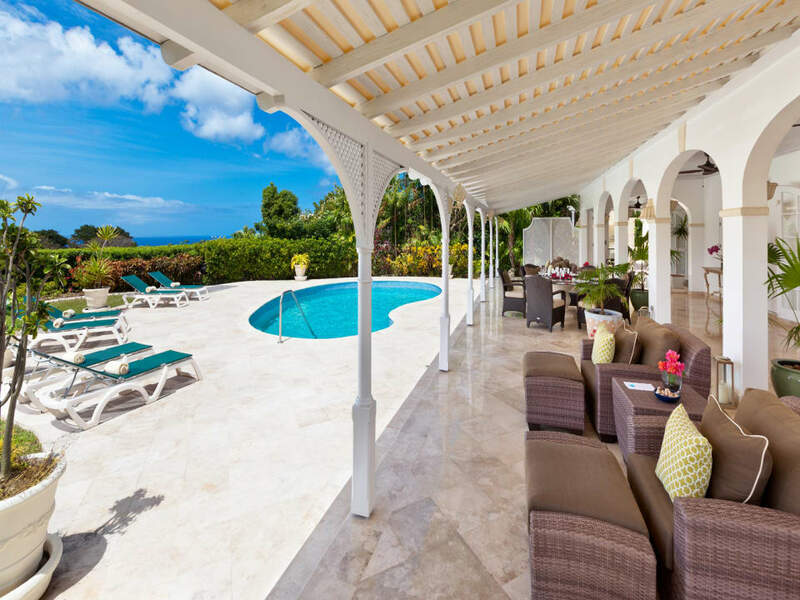 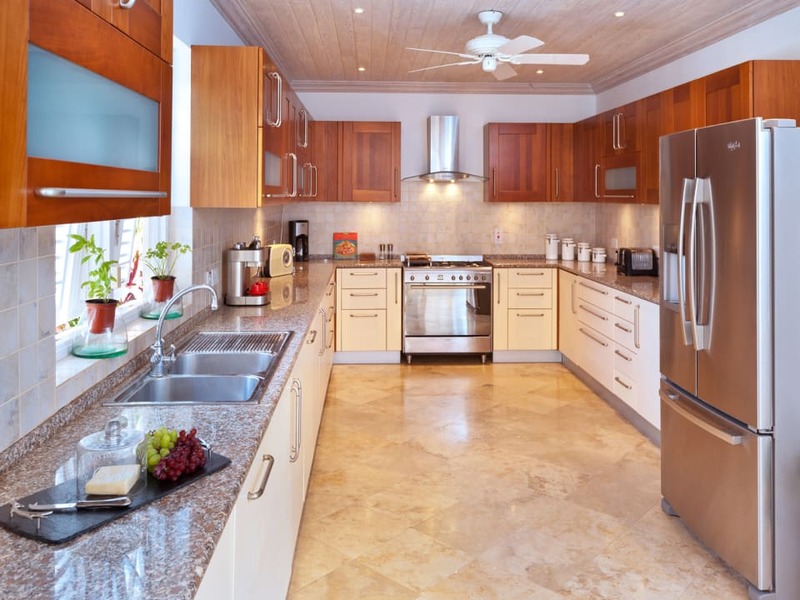 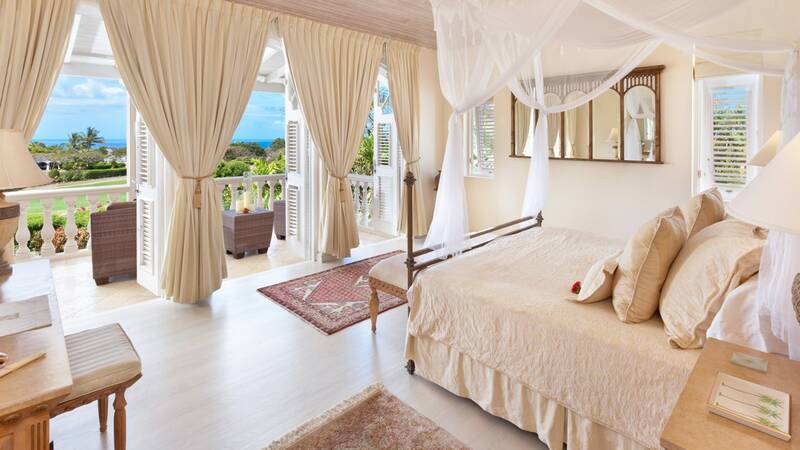 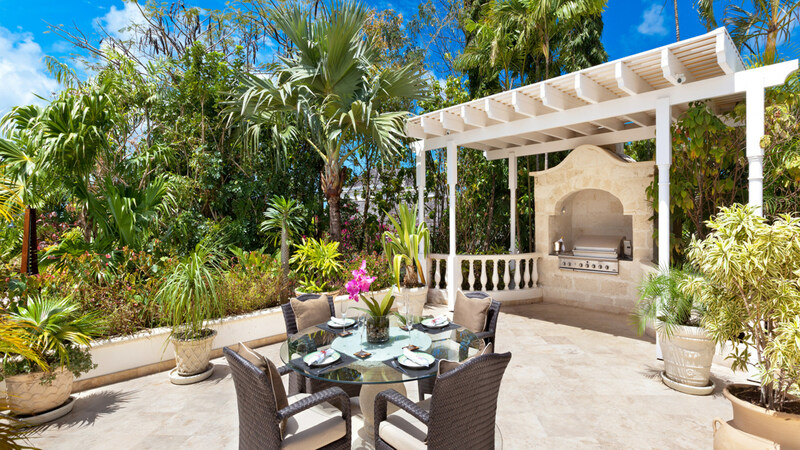 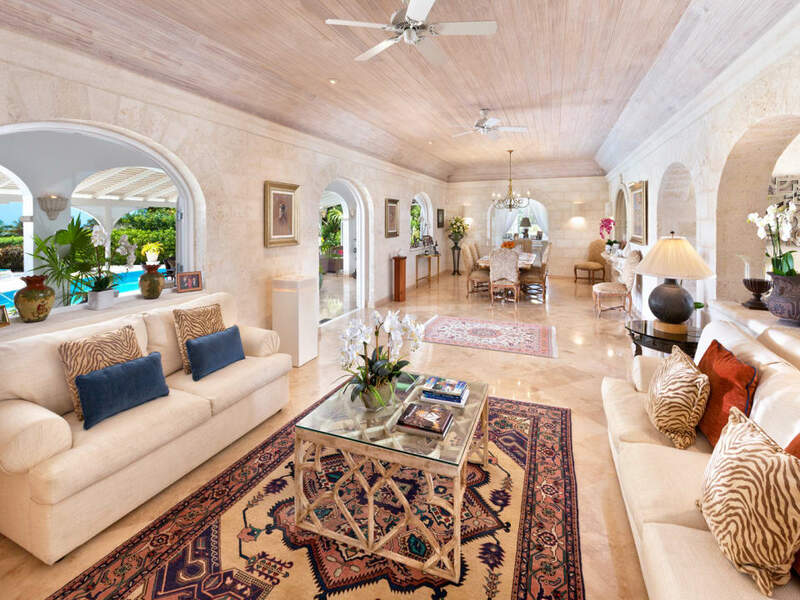 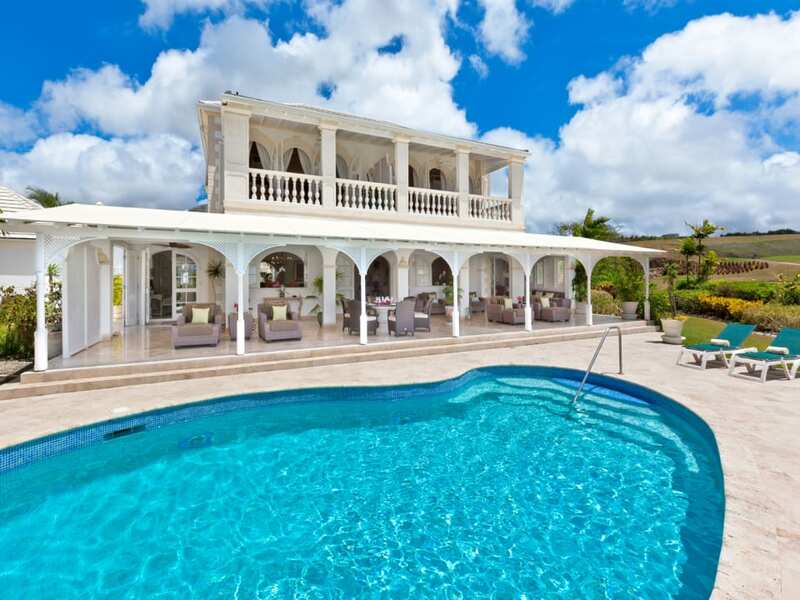 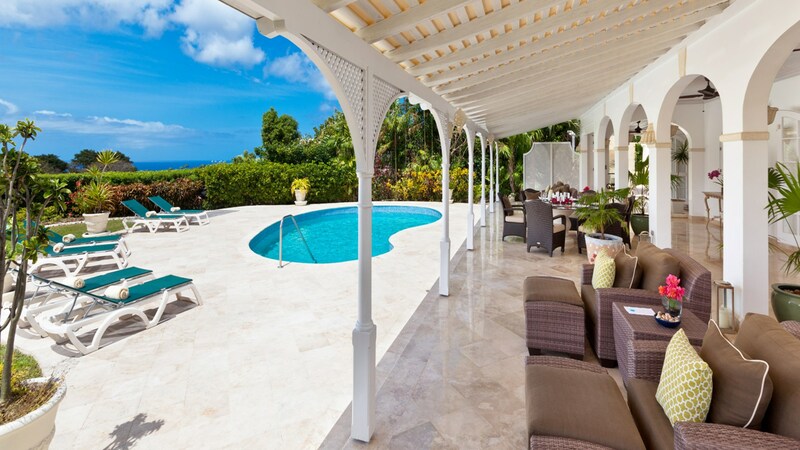 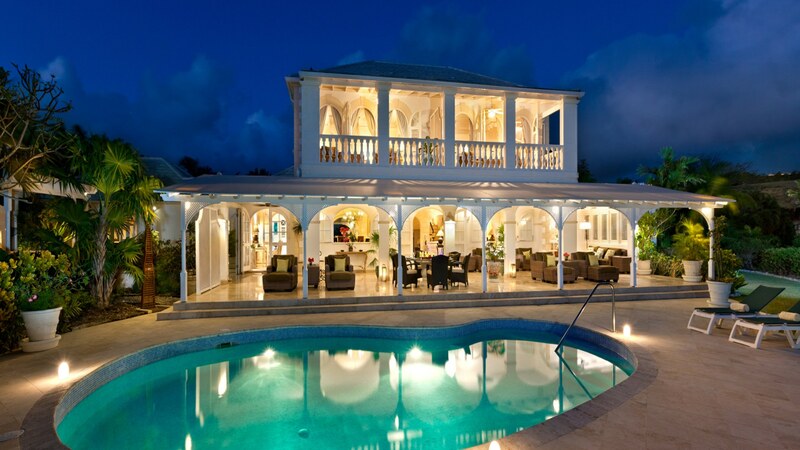 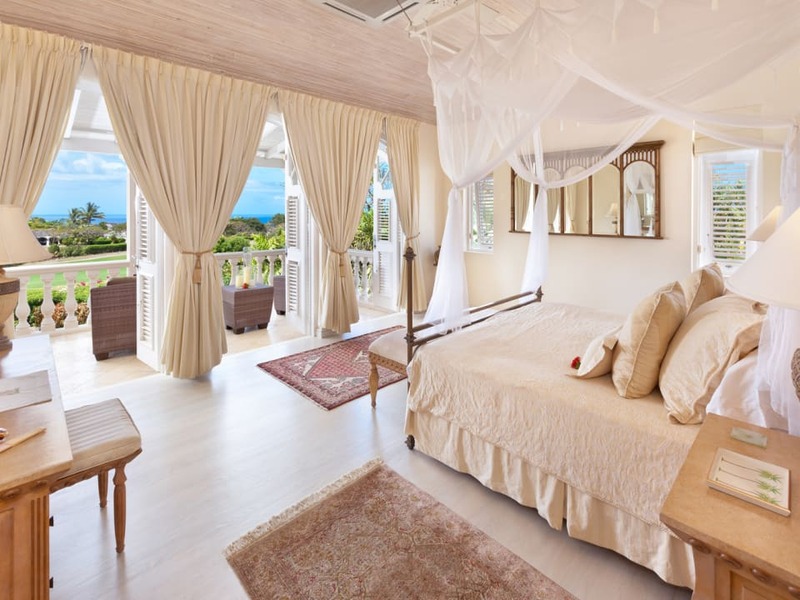 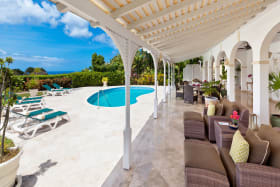 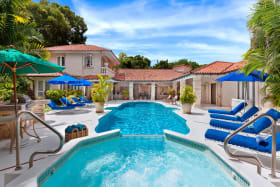 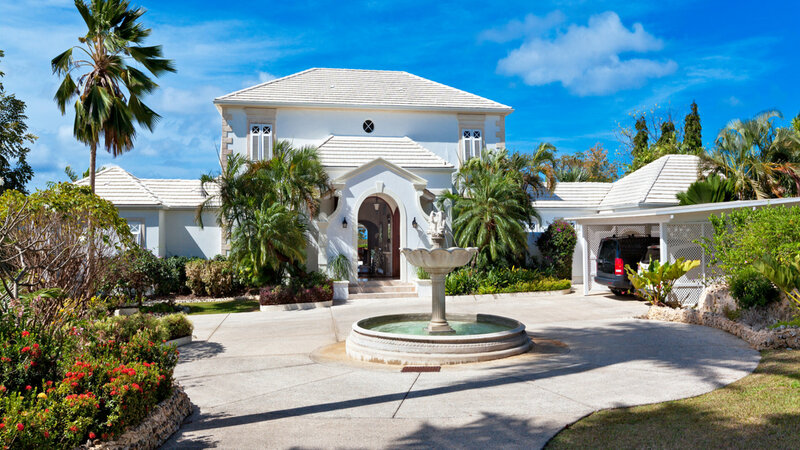 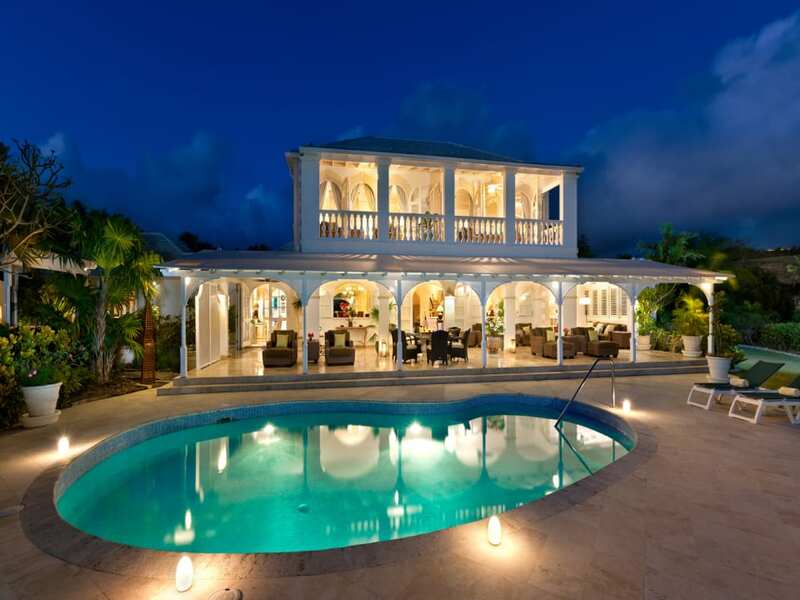 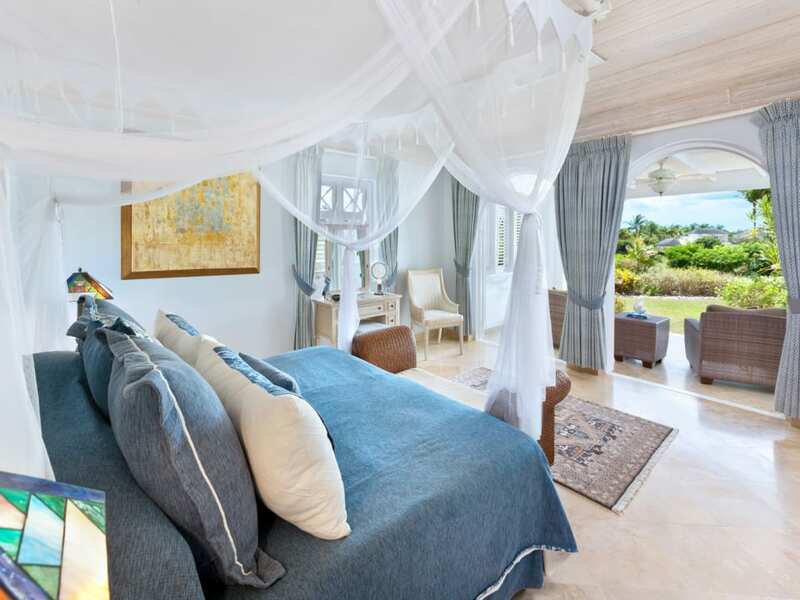 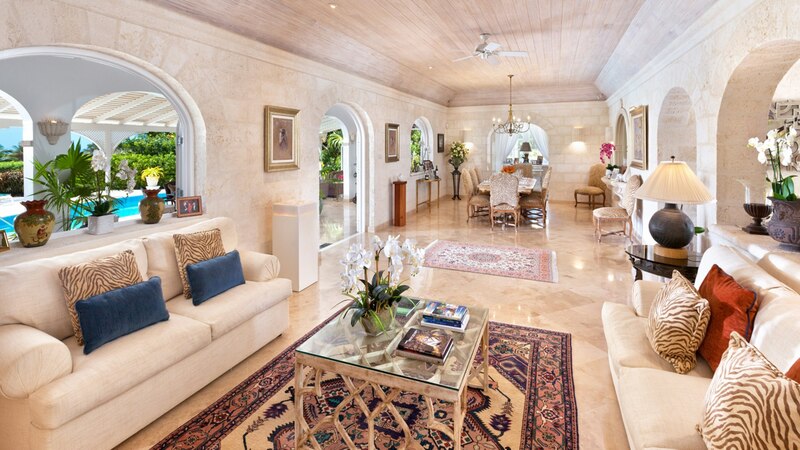 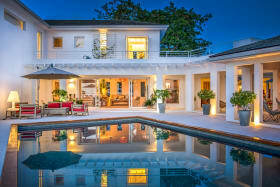 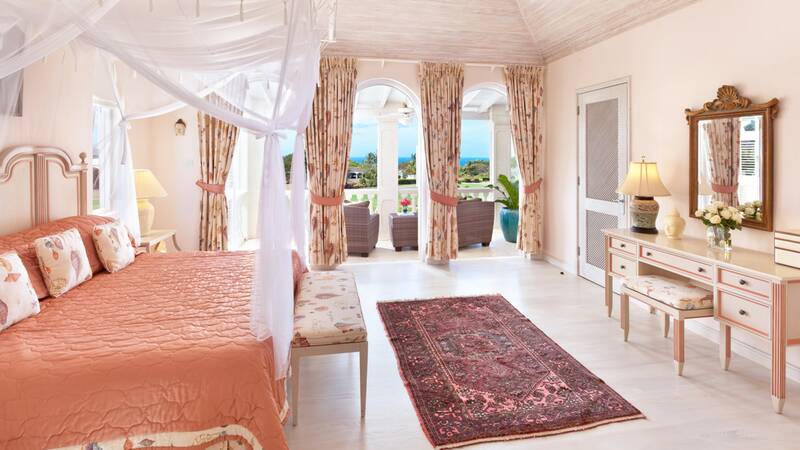 This superbly maintained 4 bedroom, 4 1/2 bathroom villa is situated within the exclusive, member's only, world-class Royal Westmoreland Golf Resort and sits on a double plot comprising approximately 1.2 Acres with views of the Caribbean Sea. 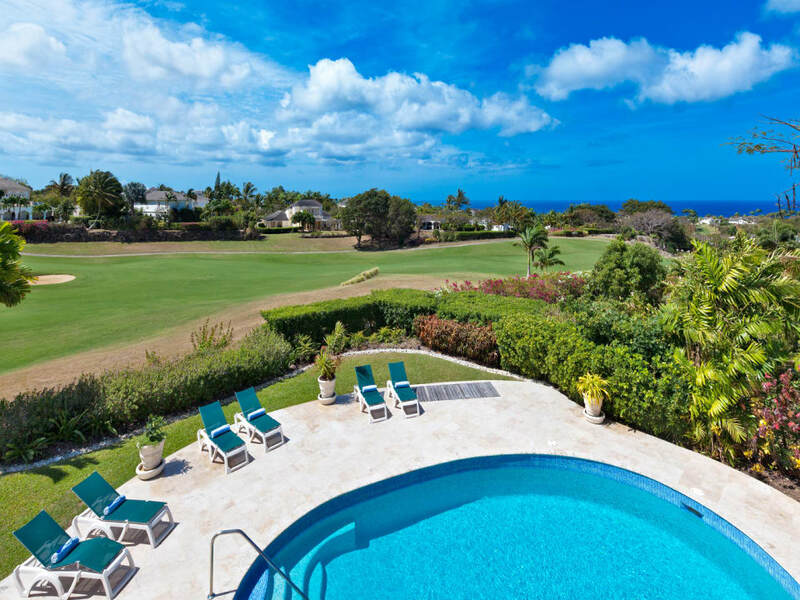 The property overlooks the green of the 16th Fairway, is offered fully furnished and boasts high quality finishes including extensive coral stone and some coral rendering, travertine floors and granite and marble counter tops. 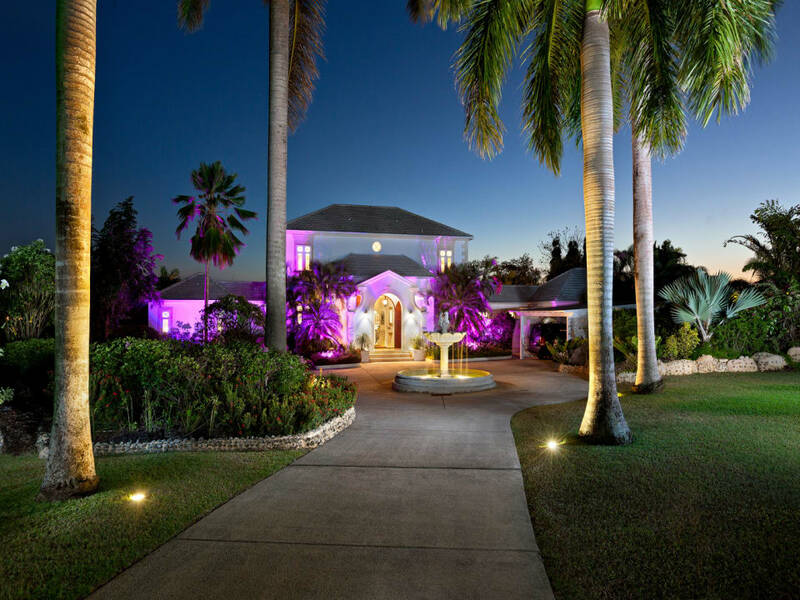 Beyond the private gated entrance is a palm tree lined paved driveway and the gardens have been beautifully landscaped providing an exceptionally attractive access to the entrance of the main house. 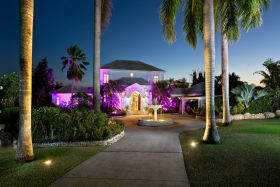 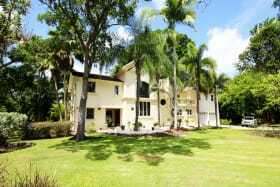 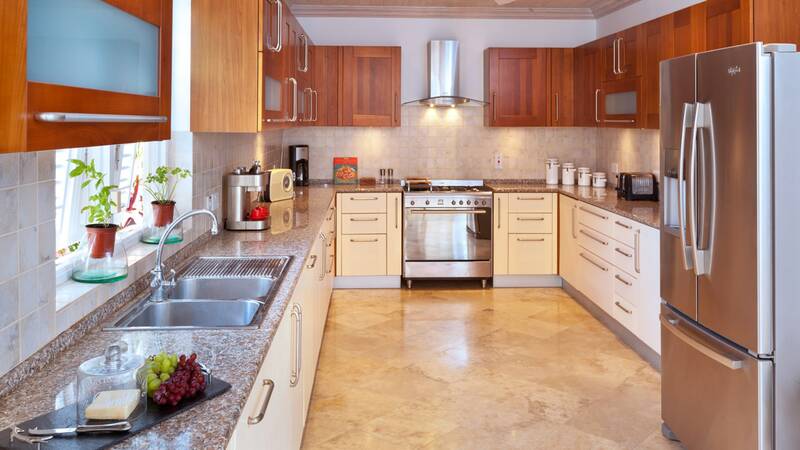 At the main entrance of the home, is an attractive fountain complex and double bay carport. 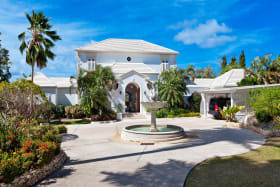 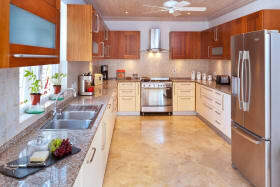 The ground floor level is designed on open plan principles featuring high pickled-pine ceilings, spacious indoor and outdoor living, entertainment and dining areas, a very large well-equipped state of the art kitchen, a separate staff quarters including a laundry room, and an adjacent additional (5th) bathroom. 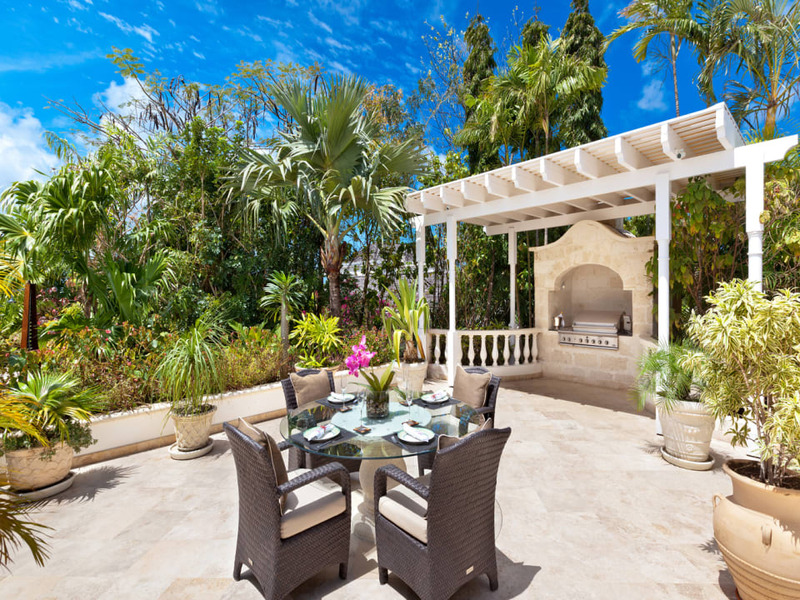 There is a second bedroom on this level, larger with its own exclusive terrace and garden view and a large pool deck, with a substantial barbecue area leading off from the kitchen proves fantastic for entertaining. 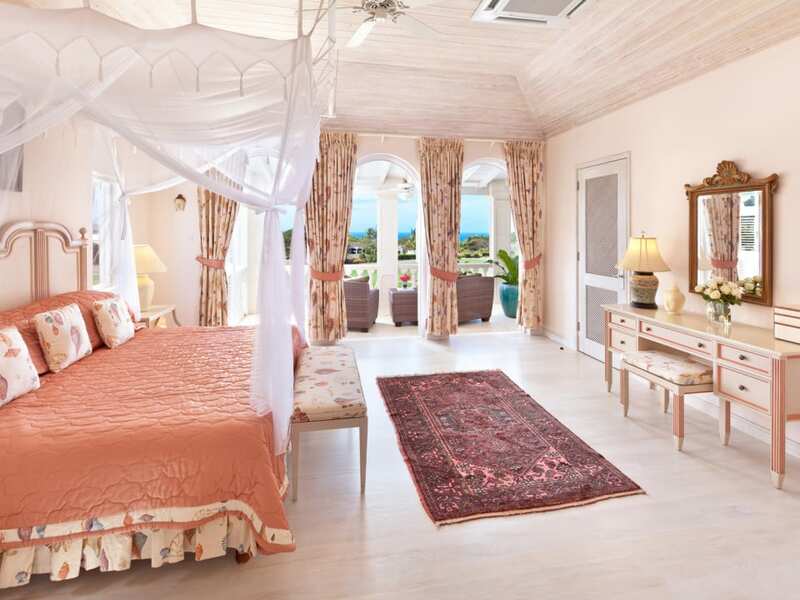 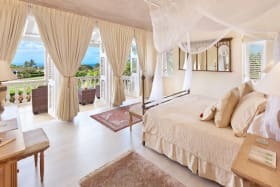 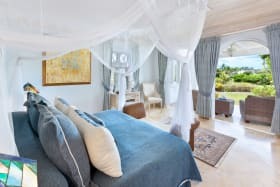 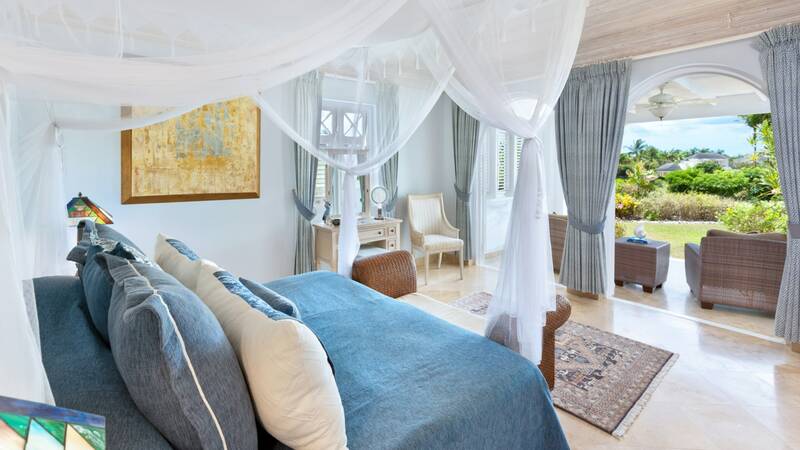 The first floor features 2 large en-suite bedrooms, each with a walk in closet and either could be used as the master bedroom and both have access to a balcony overlooking the swimming pool and facing the sea. 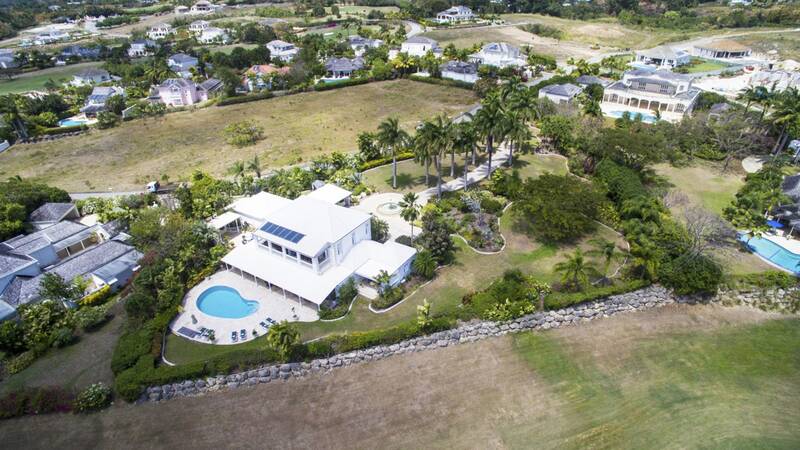 Situated along prestigious Palm Ridge, this property is set amongst other luxury homes, however, uniquely stands apart due to the double plot it offers. 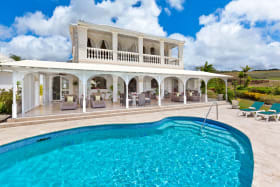 There fully approved plans in place for an additional 3 bedroom guest cottage, with pool to be constructed, extending the accommodation to a 7 bedroom residence. 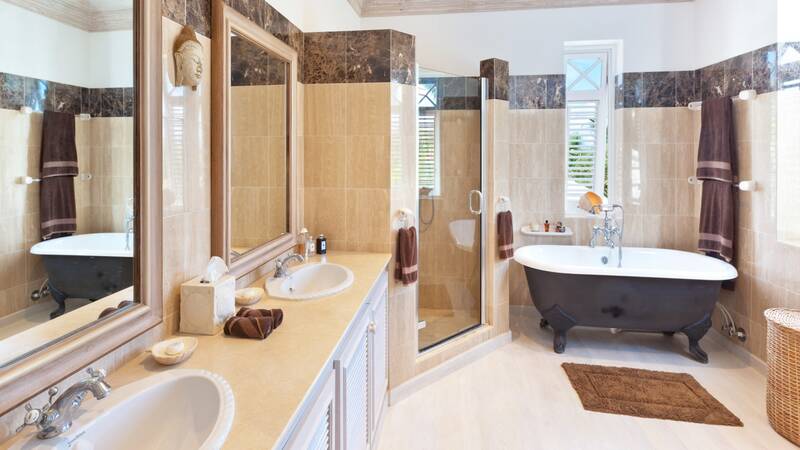 The design of the guest suite has been determined in a manner to offer the opportunity of further extension if in the future the owner would wish to separate the lots and sell two freehold sites – this would provide the future owner with a significant financial advantage. 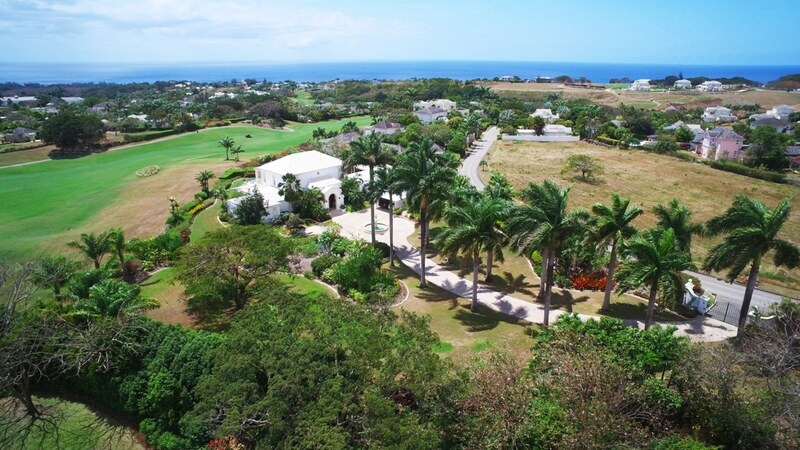 A rare investment opportunity on an established golf estate.